Christopher Miller and Phil Lord, the directing duo behind Warner Bros.’ hit “The Lego Movie,” will direct a standalone “Star Wars” anthology film, Disney announced Tuesday. 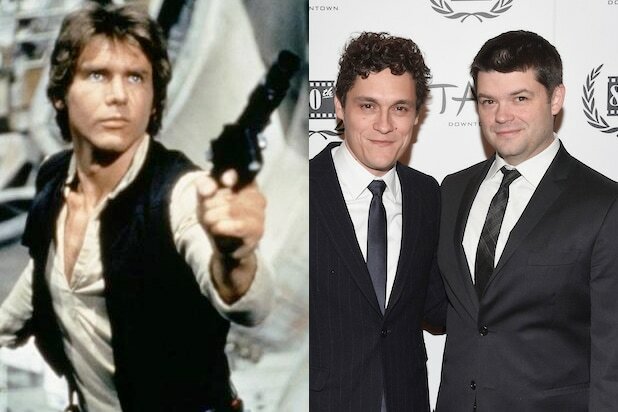 The duo, whose credits also include “21 Jump Street,” will direct a feature about a young Han Solo, the iconic character played by Harrison Ford in the original films. Lawrence and Jon Kasden will write the screenplay. The story will focus on how young Han Solo became the smuggler, thief and scoundrel Luke Skywalker and Obi-Wan Kenobi first encounter in the cantina at Mos Eisley. Longtime Lucasfilm exec Kathleen Kennedy will produce the film, which is slated for a May 25, 2018 release. Disney and Lucasfilm plan to release at least one new “Star Wars” film a year, kicking off with Episode VII, “Star Wars: The Force Awakens,” on Dec. 18, 2015. Episode VIII, written and to be directed by Rian Johnson, will follow on May 26, 2017. The first standalone film, “Star Wars: Rogue One,” starring Felicity Jones and Ben Mendelsohn, will be released on Dec. 16, 2016.